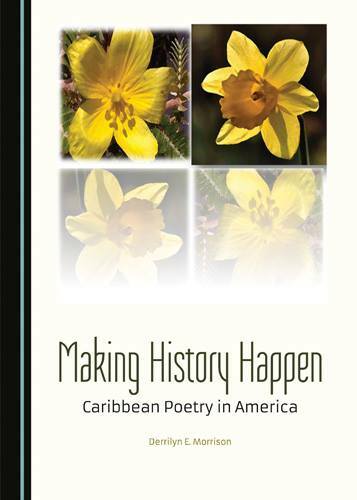 Dr. Derrilyn E. Morrison, associate professor of English at Middle Georgia State University, recently published "Making History Happen: Caribbean Poetry in America." The book examines Lorna Goodison’s "Turn Thanks," McCallum’s "The Water Between Us" and Claudia Rankine’s "Plot" and "Don’t Let Me Be Lonely." "Engaging familiar themes and issues of time, language, and identity, the (poems) focus on 'signifying' moments in the works of the poets under discussion. Reflecting on some of the ways that transnational women poets of the black diaspora are using tropes of mobility to create a renewed sense of identity and a sense of belonging to a communal network, the readings also demonstrate that the project of re-writing individual self-identity in light of one’s expanding consciousness or awareness of the 'other' is more urgent, and more demandingly realistic, in contemporary poetry written by women poets who occupy transnational spaces. In these works, re-memory becomes a process that transforms, the gathering of memory reflecting the interrelatedness of communal and individual subjective identities. ... The collection of essays in this book calls attention to an emerging poetic body of Caribbean writing in America that requires naming, for it is new." The book is available at http://www.cambridgescholars.com/making-history-happen.